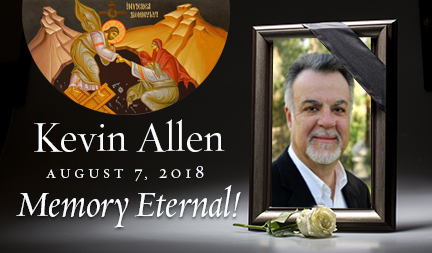 With sadness and in the hope of the resurrection, we honor the repose and remember the life of our dear friend, Kevin Allen. Kevin was born on December 11, 1949 and reposed on August 7, 2018. He served faithfully as a board member of Ancient Faith Ministries as well as a member of St. Barnabas Antiochian Orthodox Church in Costa Mesa, CA. He is best known for his outstanding content on Ancient Faith Radio. Many of you have read the story of his illness and attendant spiritual journey and have stayed in touch with him, in person, online, and in your hearts. We know that your company was always precious to him and to his family. Please join us now in offering the Orthodox prayers for the newly reposed on his behalf. Apart from the wonderful gift of his friendship and perspective, Kevin Allen also brought his considerable talents as a program host to Ancient Faith Radio. In many respects, he may be considered the father of Orthodox live radio programs, and our experience with Kevin inspired us to grow our live show lineup. Kevin was instrumental on our (my wife and me) journey into Orthodoxy. We were avid listeners to his Sunday night program and felt that we shared so many questions in common regarding the ancient faith in a modern world. Thank you Kevin for being a Man of God. 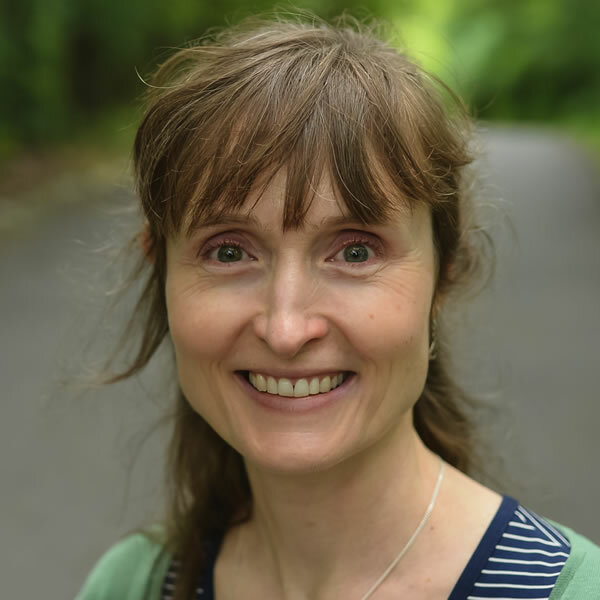 I was richly blessed by Kevin’s podcasts on AFR especially The Illumined Heart. May God recieve Kevin in His Kingdom and grant solace to the bereaved family. Thank you Kevin for being part of those I considered my “church family” on Ancient Faith Radio since the beginning. It is hard to imagine them without your regular attendance. Thank you for all you gave, taking on difficult subjects like the ones I was living through made such a difference in my life. I will miss you. Memory Eternal. Although I never met Kevin personally, I have listened to his podcasts for countless hours over the last 3 years throughout my journey into the Church and I was baptised last weekend. In his cheery way he seemed like an old friend who accompanied me on many long car trips. I was very sad to learn of his illness and emailed him last year thanking him for the massive influence he has been in helping me find and understand the Orthodox Christian faith. His contribution in creating accessible and relevant content for non-Orthodox and Orthodox alike is considerable and will outlive him. May his memory be eternal! I loved Kevin’s show. He was a great blessing and had a gift for asking the most insightful questions to his guests. I was very saddened to hear of his illness and suffering, and prayed regularly for him. May the Lord grant peace to his family, and may his memory be eternal. What time is this podcast being shown in Calgary, Alberta? Our live shows generally air at 8 PM Eastern Time, which would be 6 PM in Calgary. On the very day Kevin reposed, as I was mowing the lawn I listened to an old episode of Ancient Faith Today in which he interviewed the late Fr. Tom Hopko on the subject of “end-times prophecy”. It made me wonder why I had not heard anything new from Kevin recently. Now I know why. Memory eternal. I just learned of Kevin’s repose this weekend. Some time ago I corresponded with Kevin over a disagreement we had, and found him to be kind, respectful, and open to a very different perspective. He was willing to listen to me though I was “no one” to him. I find myself very full of sadness, bright sadness, to learn of his passing.